I am so lucky to have awesome girlfriends in Nashville, and Girlfriends who know how to eat! My friend and neighbor hosted a girls night Christmas party, and here are some of the highlights! Happy Holidays! 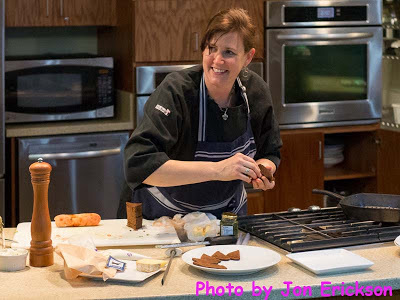 Chef Laura Wilson runs the Grow Local Kitchen at the Nashville Farmer's Market, and she offers various cooking classes throughout the year. A couple weeks ago, Laura offered a class to prepare 10 easy appetizers for any party, and I will summarize some of them here. I always learn so much from Laura when I take a class from her. And I learned about easy appetizers that can be made with ingredients found in any normal grocery store, like the Kroger near me on 8th Ave, or the Kroger in East Nashville. 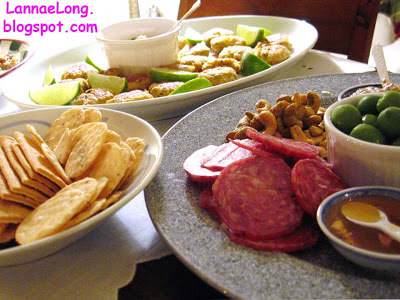 Here are some that of the appetizers that you can make and wow your friends and family. 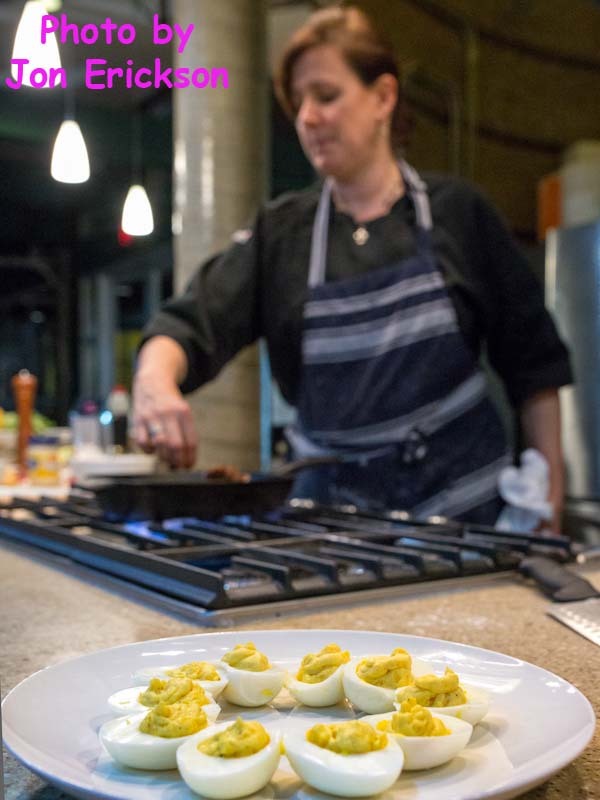 Laura started off by making truffled deviled eggs. Super easy. All you need to do is get a dozen eggs, boil them up and cut them in half. Mix the yolks with a little mayo and course grain mustard, salt and pepper, and a drizzle of truffle oil. Put the yolks back into the egg whites, and enjoy. The bacon wrapped dates was my favorite. 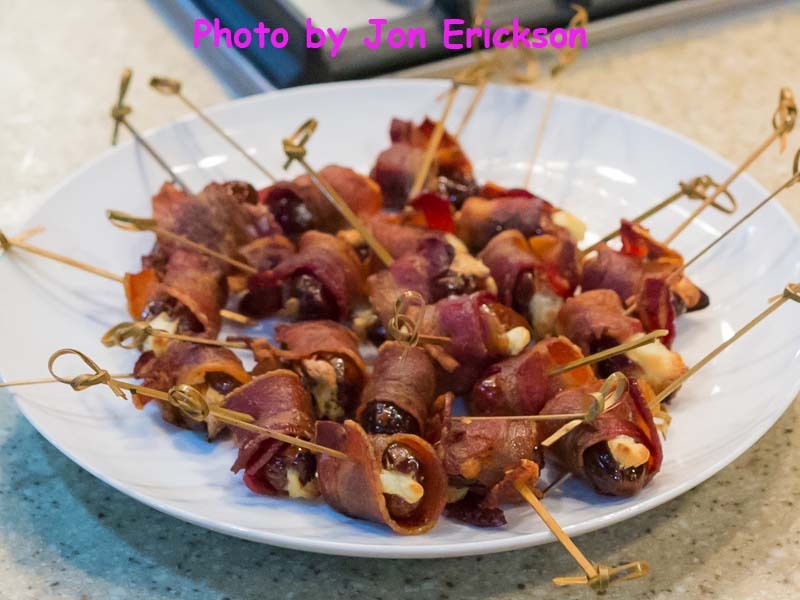 The ingredients are regular bacon (like Oscar Mayer), dates, toasted almonds (unsalted), and cheese (Gruyere, cheddar, cream cheese or maybe feta). The method is to bake the bacon for a few minutes until they are "flabby". Cut the bacon in 1/2. 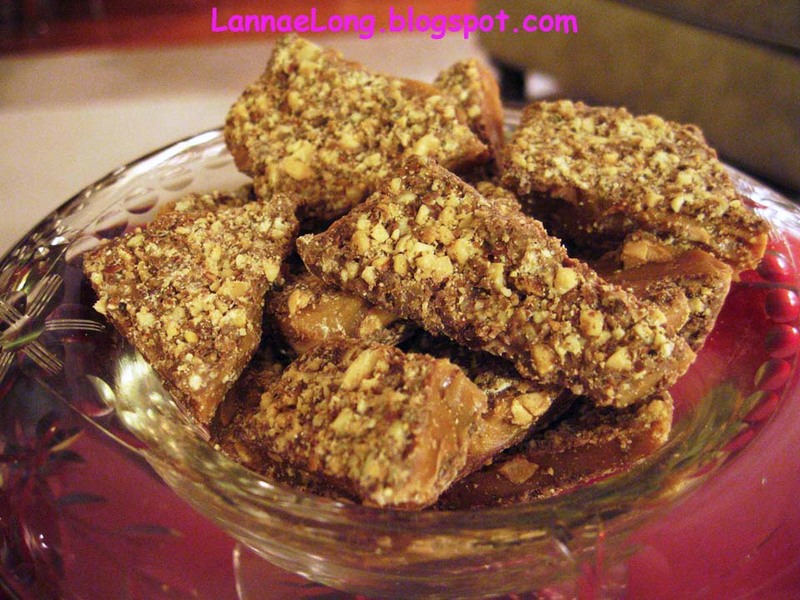 Take a date and stuff it with an almond and a little piece of cheese. Wrapped the stuffed date with the "flabby" bacon and secure the bacon with a bamboo or wood skewer. Bake in a 350F oven for about 7 minutes. Enjoy! The spinach dip with veggies isn't really new. We all have our favorite spinach dip recipe (Knorr soup mix with drained frozen spinach and sour cream is my easy favorite). But, the presentation is just so cute and functional at the same time. 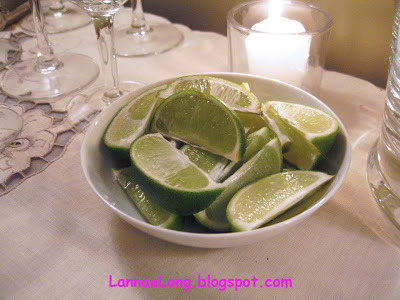 Laura Wilson admits she found the presentation on Pintrest, and it is a great idea! 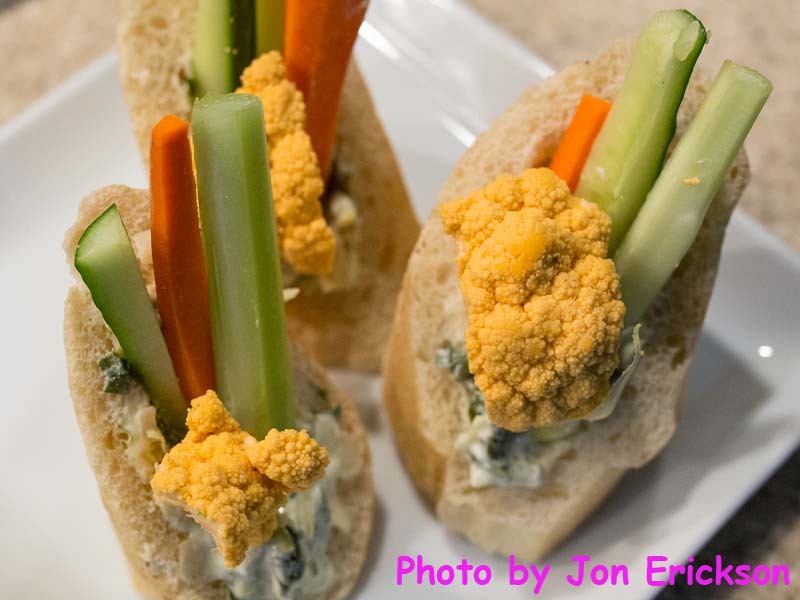 Take a piece of baguette, hallow it out, put a nice dollop of spinach dip in the middle, stand up some raw veggies, and ta-da! A personal cup of spinach dip. This way guests do not fumble with messy components of dips and veggies on the buffet table, and all they have to do is grab and go. They have an cute edible cup of dip. The feta stuffed peppers, so simple yet delicious! The sweet peppers I found in the canned veggie aisle of the grocery store. The label on mine are pepperanzzi peppers. 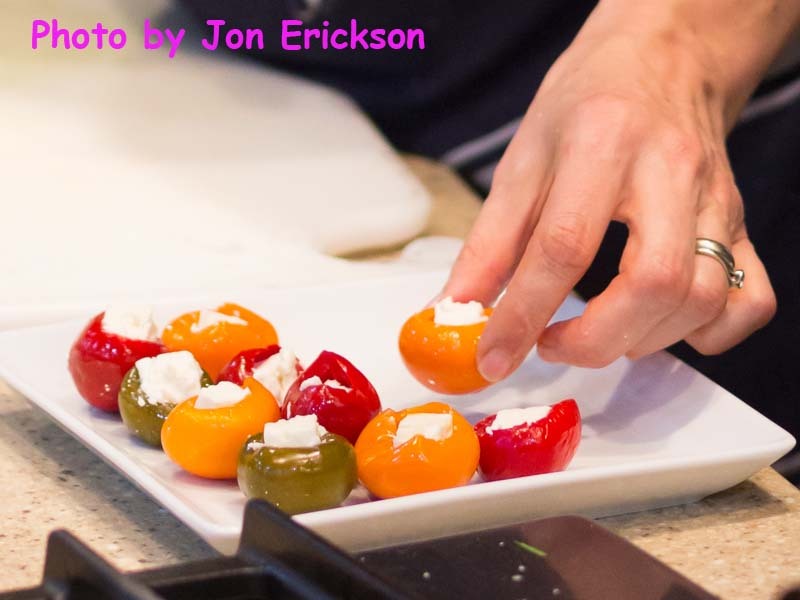 They are little sweet peppers, deseeded with a perfect little hallow area for a piece of feta. Ta-da! Impress your friends! Easy-breezy and pretty. 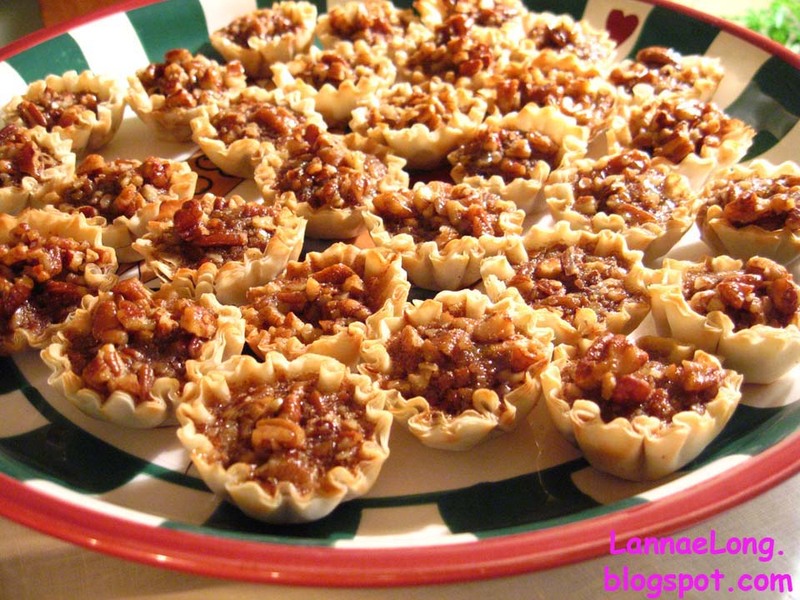 I am making these easy bites for a potluck party, and I am going to surround the stuffed peppers with some olives and crackers. The last appetizer that I really adore, and can impress friends throughout the year, are the ham and cheese pinwheels. These are prepare ahead (days, weeks or months!) and just bake when needed. They are puff pastry rolls with small diced ham and cheese. The method is to thaw out puff pastry. 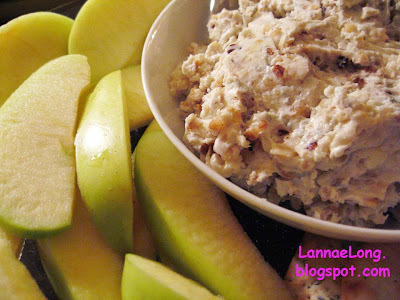 Small dice a flavorful ham or bacon and cook up the ham/bacon bits and set aside to cool. Small dice a nice cheese like a cheddar, Gruyere, or Swiss or any cheese you like. 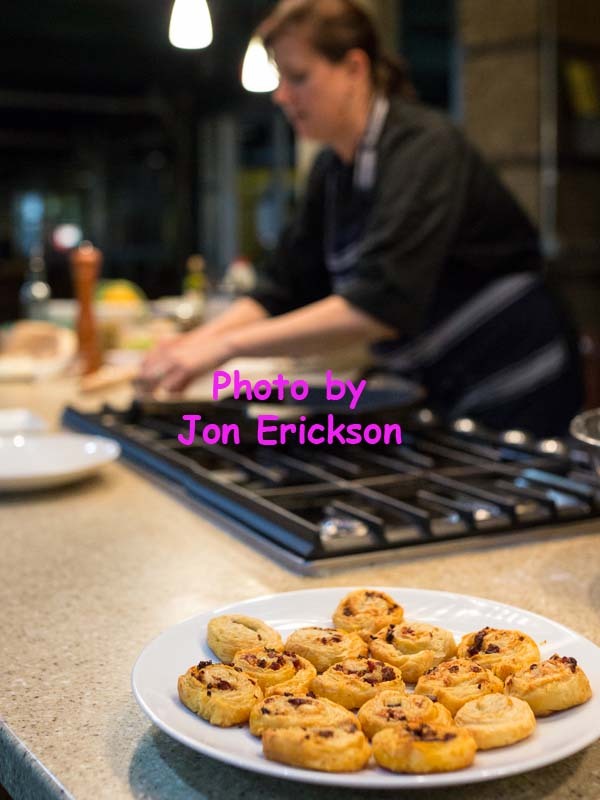 Roll out the puff pastry into a rectangle, sprinkle ham/bacon bits and cheese bits on the puff pastry. Roll up the puff pastry like a jelly roll. Wrap tightly in plastic wrap so the roll conforms to the roll shape. 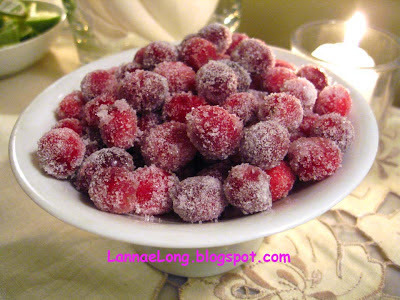 Freeze unused portions. These are easier to cut frozen, or very cold. So make 2, 4, or 6 rolls at a time (puff pastry boxes come with 2 sheets of puff pastry), and freeze the rolls for later. Cut the roll into about 1/3 inch disks. Bake for 20 minutes at 350F. Ta-da! 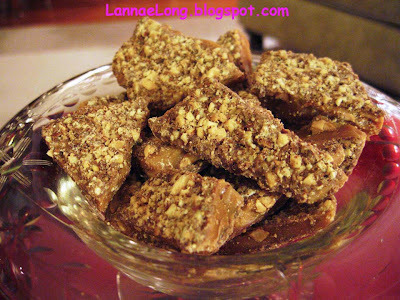 So, sometime in a month or two, when you have friends drop on by unexpectedly, you can just turn the oven on, slice up a frozen roll of these goodies, and in 20 minutes have a really awesome snack for your guests. Happy Holidays, Happy New Year! May your new year be deliciously happy! Food TV Network's Restaurant Impossible gave Moss' Prime Rib and Spaghetti Restaurant a complete makeover and my household watched in fascination. Having lived and worked in the midwest for many year, and The Man having grown up in the midwest, we felt a kinship with Sandi, owner of Moss', and we know how it's been going for small midwest towns like Elyria. Sandi and Moss' story is playing out all over the midwest, not just in Elyria. Here is Elyria's story as I know it. Elyria is the county seat, and there is a historic downtown area with Broad St as it's main road, and there is a lovely courthouse square, a grassy park, at the corner of Court and Broad Street, and just a few paces from Moss'. Over the past 25-30 years, downtown businesses closed or moved to the strip malls which popped up on the the other side of the highway where land was cheaper, and big box stores draw a crowd. Some downtown buildings are falling in disrepair, and there isn't the same draw as there was in the 1970s. Visitors and tourist love to visit "Mayberry" downtowns with quaint stores, downtown parks, quaint locally owned restaurants, and get the look and feel of hometown America. Elyria downtown no longer has the "Mayberry" look and feel and has not for years. Elyria, and many other midwest small towns have not kept up the "Mayberry" downtown. Because day-to-day errands cannot be conducted downtown anymore, locals do not go downtown, and because there isn't a tourist interest downtown anymore, tourists do not go to Elyria downtown either. Part of me misses the hometown America, and I do try to partake in the hometown restaurant when I can. Moss' and Sandi represents what is going on all over small towns which are struggling. I really wanted to go and see for myself, and try this really great prime rib Moss' and Sandi has to offer. A few weeks ago, I was in the Elyria area around dinner time, and it was the perfect time for me to try the prime rib. 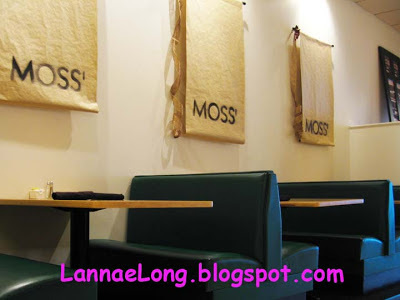 I noticed that Moss' is the anchor restaurant for the downtown area. That is a lot of weight to put on one restaurant's and one woman's shoulders. There were a few resident homeless, sitting nearby Moss', and in this small town everyone knows there name, and they are part of the fabric of Elyria. I walk up to the Moss' noticing the "for sale" sign. Sandi wants to sell and move out of Ohio, maybe somewhere warmer, but no one is buying anything in this dying town, so here Sandi stays. I walk in, and I love the makeover that Restaurant Impossible did. It is comfortable, there are neutral tones that I like, the wall decorations and light fixtures are tasteful, and the whole look and feel is very inviting to stay and dine. Because I was on the early side for dinner, the slow roasted prime rib was not ready to come out yet. Moss' is quite particular about their prime rib, and they know how to make a very good prime rib. I had already had my French onion soup to start, and they said it was going to be about 1/2 hr to an hour before the perfect piece of extra rare (that is how I like it!) will be ready. So, I asked them if I could go out and look around Elyria for an hour, and then come back for the rest of my dinner. Sandi and staff are exactly what you want in hometown hospitality. They gave me directions to an area where I could go walk and get some exercise for an hour. I wanted to pay for the soup, but they said no, they trusted me that I would be back for the rest of my dinner. That is just sweet mid-west hospitality. I could have been a bum and skipped out on them, but I am and wouldn't because they are just good mid-west souls running this restaurant. I finished my walk, and went back to Moss' for the rest of my dinner. I asked the waiter why they trusted that I wouldn't skip out on them. Well, that is just their nature. They are good solid mid-west people, and that is how it is in the America's mid-west small towns. You can't get this trust, kindness and warmth from a big box chain, you can only get this from locally owned restaurants owned by good people. I ordered the prime rib extra rare, a baked potato and side salad. I gotta say, as well as Restaurant Impossible says, Moss' knows how to cook a good prime rib. 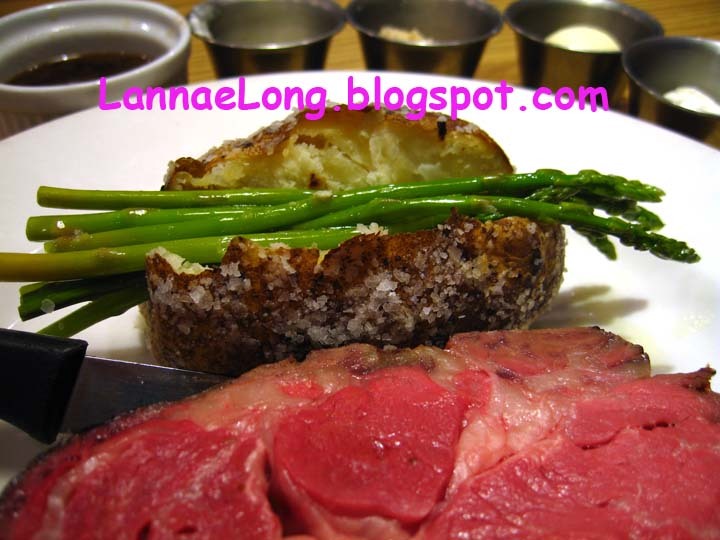 My prime rib was perfectly cooked for me, and quite tender. Moss' can deliver medium and well down also, but I was very happy with the perfect piece of prime rib for me. My potato was exactly cook the way I wanted with real butter and sour cream to top it. Moss' was also able to give me some jus to dip my prime rib, real straight up horseradish, and also horseradish cream for a variety of dipping pleasure. It was a good meal for me. Next time I am in the area, I will likely go back to Moss' when I want a nice piece of prime rib. My wish is that Elyria can restore its downtown to all is former splendor. It took Nashville about 10 years to get its downtown back, and now it is a destination for tourist and locals alike on any day of the year. Franklin, TN also restored its downtown too, and Franklin is to Nashville, is similar to Elyria is to Cleveland. Franklin is about 20 miles out side of Nashville, as Elyria is about 20 miles outside of Cleveland. Both towns have have central downtown business district. Both has plenty of free parking. Franklin made big efforts for years, the long haul, to attract and retain coffee shops, restaurants, and locally owned shops to open in its now vibrant downtown. Franklin established annual family friendly events and festivals throughout the year, and adult wine tasting events, which is a nice way to re-introduce visitors and locals to how great Franklin is. The first years of these festivals were lightly attended, but the word caught on, and people and families from all over love Franklin and the festivals now. I think Elyria downtown can make a comeback, with Moss' as its central restaurant, but will take time, focus, inviting events and political will to do so. I was in Tulsa visiting my long lost pal, and she was suggesting various places to go for dinner. There isn't a lot of ethnic foods in Tulsa, and my pal loves international flavors, so we opted on Lanna. 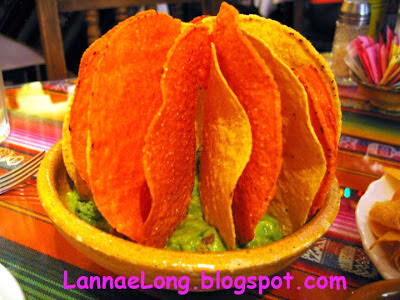 Yes, note the resemblance to my name Lannae. How could I pass up a trip to a restaurant with a name so close to mine! 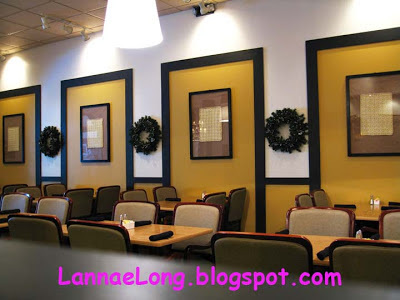 Lanna is one of the few Thai restaurants in Tulsa. We got there kind of late, 7:45 - 8:00-ish, so a couple fresh made items were already 86ed. We wanted fresh spring rolls, but they ran out of those earlier because they are popular at Lanna. We opted for the chicken dumplings instead. 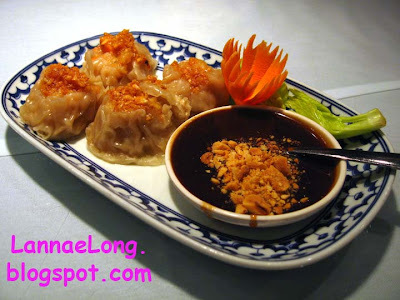 Before arriving to Lanna, I really wanted peanut sauce with fresh spring rolls, and I was looking forward to the peanut sauce, so I asked them to bring met that sauce with the chicken dumplings. I thought they would bring the soy sauce based sauce also, but they did not. It was my fault for not making it clear that I wanted both sauces. What I learned is that there are certain flavor combinations on purpose because they are good, like peanut butter and jelly, and there are some that are not meant to be. The Thai hoisin peanut sauce is perfect with fresh spring rolls and not perfect with chicken dumplings. Soy sauce and citrus sauce is perfect with chicken dumplings. I wish I asked for the soy based sauce. For our main entree we shared a dish of green curry. I love the green curry flavor profile. Fresh green curry is a combination of basil, lemongrass, galangal, peppers, garlic, fish sauce and other herbs and spices and then all wrapped up in coconut milk. Really fresh green curry is delicious, but it takes time to do this sauce right. There is an easy way to make green curry and it is to buy a little can of curry paste and combine it with coconut milk. 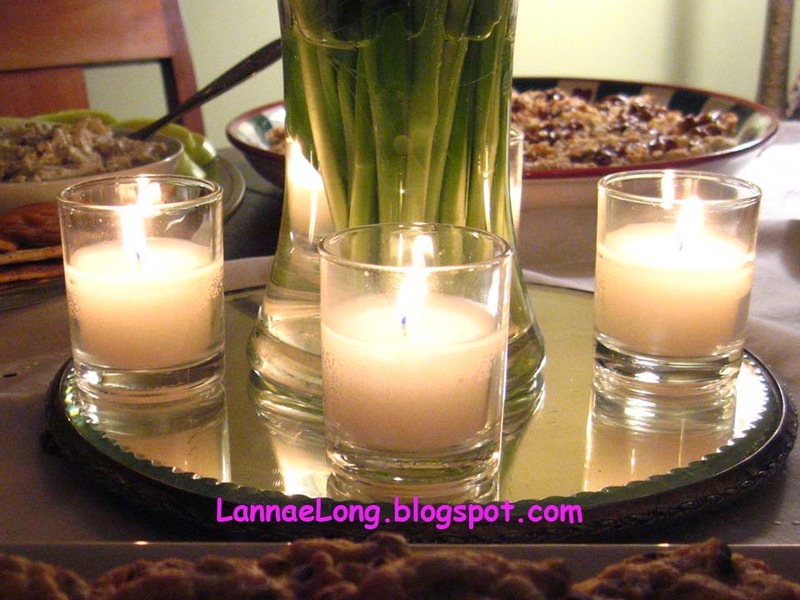 I usually use the short cut way because it is fast and easy to get dinner on the table. The easy way is sufficient, tastes good enough and feeds the need for Thai green curry. But, dinner wasn't about getting an amazing Thai meal in Tulsa, it was about catching up with my long lost pal. I miss my pal, she was the glue for a group of friends in Nashville. My pal, when she lived in Nashville, knew of all the art gallery opens (with free wine and snacks) all over the city. We would get the word from her, met at the first gallery and gallery hop while looking at art, and having some wine and snacks along the way. It was just a great time. Then, when she left and took a really great job in Tulsa a couple years ago, the art gallery hopping in group just withered away. We talked about it, and Tulsa does not have a big local art scene like Nashville does, so she does not have the opportunity to go gallery hopping like we used to. Since my pal left us to go to Tulsa, I too have not gallery hopped like we used to either. We talked about how much we missed the free wine and snack tours we took with our pals, and those will be cherished memories and likely never duplicated again. OK, so we talked about it, but have not come up with a plan for our next visit together. It will likely not be in Tulsa and Nashville, rather somewhere in between. I think it would be really fun to get the whole gallery hopping group together again in some fun town in between here and there. Where should we go? I have a friend Terry Vo. She is totally awesome! She has lived and done a lot of stuff already, and has a lot more to stuff to do in the future. She has studied abroad, was Ms Cherry Blossom from Arkansas representing her state for the National Cherry Blossom festival, was voted Ms Congeniality Cherry Blossom, worked at the Japanese Consulate in Nashville, volunteered and organized MADD for Tea events, volunteered and made it happen for adorable children with Make-a-Wish Foundation, always had an ear to the ground when it came to events and parties for a charitable cause, recently she became first Youth Trekker Ambassador to Taiwan, and she is now heading down under to study abroad again. Terry is living large, and really have a great time doing it, and I can't wait to read her blog through the next years of her life adventure. So, with the most recent activity on the list of things Terry has done and is doing, she is going down under away from Nashville - that is as far away from Nashville as you can get in the world. Believe me and all her friends here in Nashville, we will miss her. Before she went down under, I went out to Fort Smith Arkansas, Terry's home town, to see her one last time before she got on the jumbo jet. This is my 1st trip to Fort Smith, Arkansas. Do I admit this, I never knew there was a Fort Smith, AR until I met Terry. I mean, Fort Smith is the 2nd most populated city in Arkansas, and Trout Fishing in America, one of my favorite kid's music band is from that area, some of the best trout fish happens in Fort Smith, you would think I would have heard about this fine city before meeting Terry. I think I know where Terry gets her congeniality, it is born and breed in her home town of Fort Smith. Everyone in Fort Smith I came into contact with were nice and friendly like I was a guest in Mayberry. Seriously, everyone I came into contact with were people who "never met a stranger" and treated me so very well. Fort Smith is like Mayberry in so many ways, there is a really cute downtown (maybe a few blocks long), a lovely central park downtown where lots of community events happen, the streets are clean and safe to walk at night, there is a local bank where towns folk actually have a friendly personal relationship with their banker, there is one local coffee shop where the locals are known by their 1st names and their standard morning order, and I know there is at least one Aunt Bee who is proud of her home town. Fort Smith is just a nice place to visit. So, before Terry went down under, I got to have dinner with her in Fort Smith at one of her favorite places to eat: Rolando's. Rolando's is Ecuadorian inspired food by Sherry Cuzco who was from Ecuador. I have never had Ecuadorian food before, and I guess it is because I have never been to Fort Smith before and I had to travel 500 miles to to Rolando's to try Ecuadorian food. The tilapia dish is Terry's favorite at Rolando's. The fish has is dry rubbed with earthy spices like cumin and maybe annato and paprika, then either broiled or grilled, and then topped with a caper chimichurri sauce. I ate a bunch of Terry's dish as well as my dish. Just to be different, I got the shrimp salad which was very tasty too. 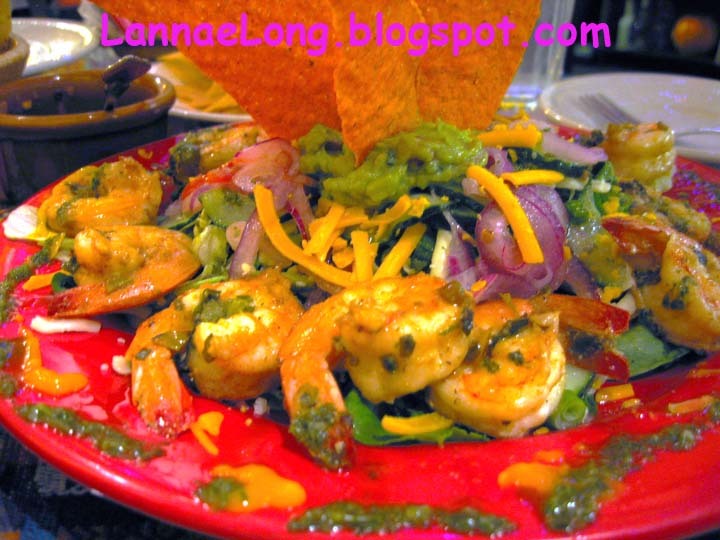 The shrimp was seasoned and grilled and topped with a chimichurri sauce also. To start, we got the guacamole because we both love guac. The presentation was outstanding. The chef makes homemade tortilla chips, and she stands up circle of 1/2 tortillas in the guac and it is a really beautiful presentation. We also like the complimentary black bean and corn salsa. 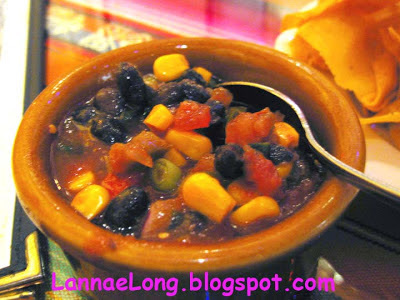 It is a complex combination of flavors that is completely different from regular tomato salsa, and I really like the sweet bits of corn with the tomato and black bean base. Rolando's was a nice way to cap off 2012 with Terry state-side. Now with Terry in Australia, I await to read her blog about some of the great food, cultural and events she finds while in the country and vicinity. Maybe, if I save enough pennies, I may even try to go to Australia and see my pal sometime and find some new yummies I haven't tasted before. Get ready for Feast at 5th and Main in East Nashville. This weekend they are soft opening, and Monday December 3rd is the first real day of opening. Manny Hatz lives in the building, and was quite touched by the sad passing of Jay Luther. 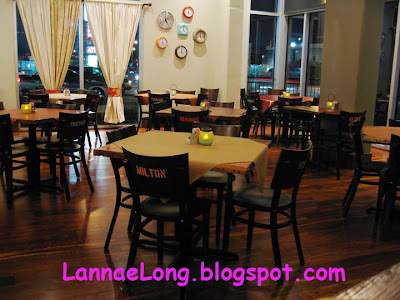 Allium/East Germantown Cafe was Manny's go-to place to relax, have a decent hot meal, and drink after a long day of work. It was his home away from home. After that terrible day, the space sat dark as if in mourning. Then one day Manny Hatz and his operating partner Mike Harris got an idea to breathe new life into the space, bringing it out of its darkness and create Feast. Myself and other food bloggers we able to meet the owners and get a sneak peek an the new Feast Space. The space feels great and we think that this will be a great place to have happy hour after work. I had nice time meeting Manny and Mike, and nice to thank them for bringing the light back to this space. Feast has an accessible menu, with nothing over $15. The menu is not fussy, so it feels like a comfortable pair of crocks. The restaurant feels like you can come as you are. I feel like I could do a weekend full of yard work, be really tired, and stop in to Feast and relax without pretense. Some of the highlights are the mesquite smoked chicken egg rolls served with a BBQ dipping sauce. These little treats went over big with the food blogger crowd, and they think this is going to be the go-to treat during happy hour. There will also be flatbreads with crust that reminds me of homemade pita bread. The food bloggers think these will be a big hit at happy hour as well. I think that the house marinated filet kabobs are going to be a big hit for dinner. What I like about this dish is that it is a great cut of beef with mushrooms, onions and a nice miso sauce, but it isn't stuffy or fussy. The kabob dish is a nice homey dish that feels like being invited over to your friends house and he just tossed these little gems on the grill for dinner, and then you have a casual dinner while chatting about how the quarterback did from the weekend football game. It is really nice to see new light in the space, to feel good vibes in the restaurant, and to see the Feast.